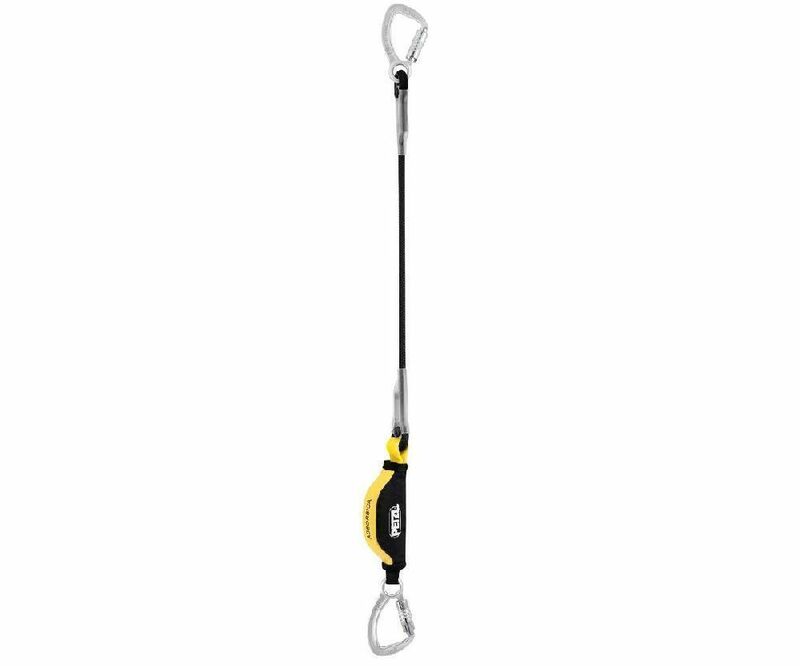 Single lanyard with a compact, integrated energy absorber designed for protection on a horizontal lifeline (rope or cable) or on an elevated platform. It is available in 80 or 150 cm versions (without connectors). Equipped with two captive carabiners, it is certified to U.S. and European standards. 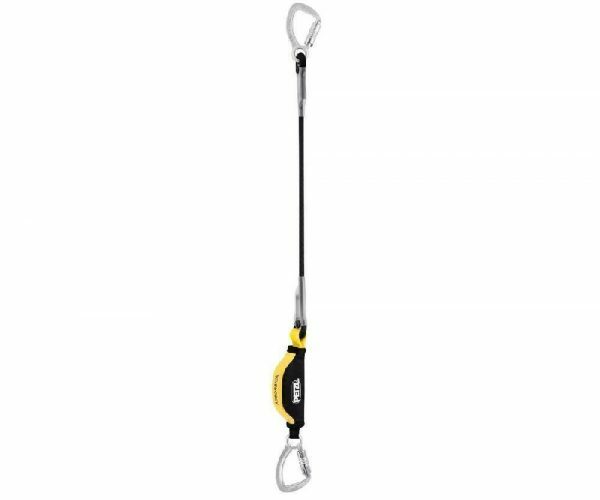 Comes with two captive steel carabiners, with TRIACT-LOCK auto-locking system.